"This is a civil cocktail mon cherie!" Pour all the ingredients into a shaker with lots of ice. Shake vigorously for several seconds and strain into a cocktail glass. Garnish with a lime twist. 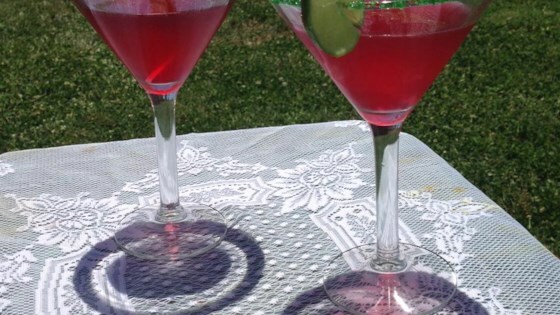 See how to make this simple and colorful vodka cocktail. The perfect way to get bombed on a summer afternoon. Fabulous! Try using rasperry Stoli's for something Absolutely Fabulous! After a few rounds of these delicious drinks, my boyfriend's parents begged him to propose! Fabulous drink! I just love these, especially after a rough day. The only thing I do different is to garnish with a lemon twist vs. a lime twist.